One of the things I love most about fishing is discovering something new. 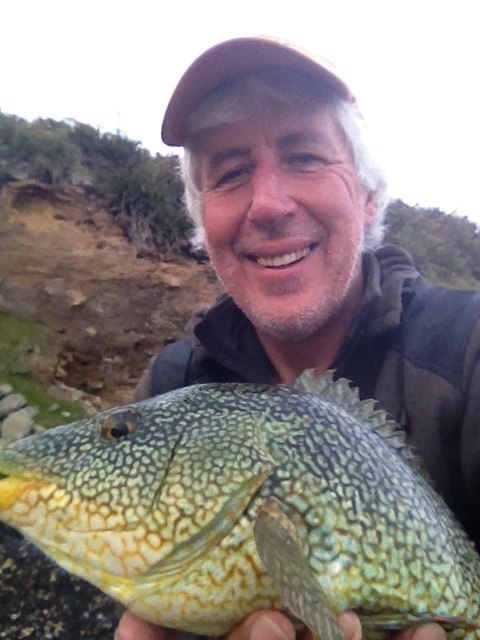 Like why the hell I didn’t go to the beautiful Isles of Scilly 30 years ago and why has it taken me this long to experience the fun of catching chunky wrasse on soft plastics? 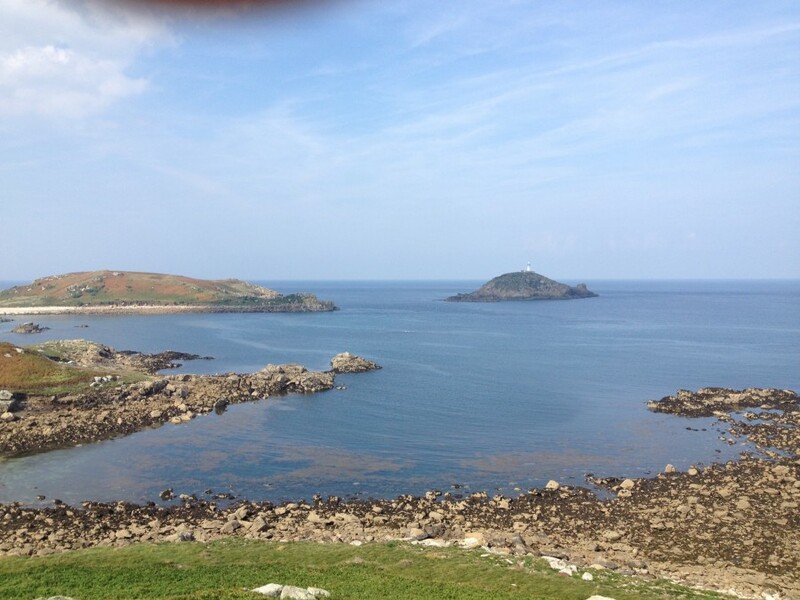 I’ve just returned from the UK’s largest collection of offshore islands, situated some 28 miles from the south west tip of Cornwall and home to probably the best wrasse fishing to be found in Britain. 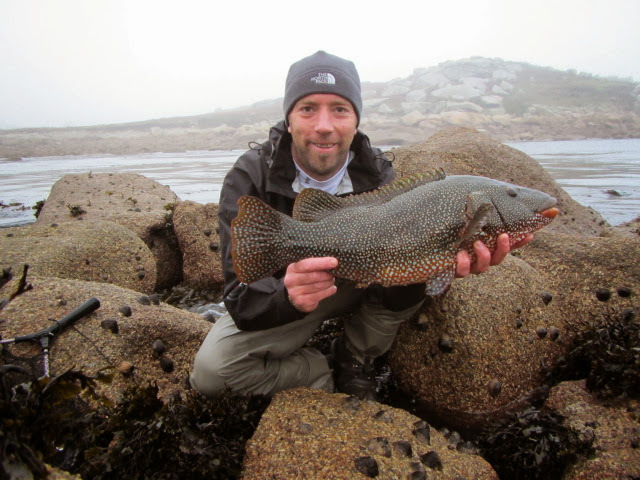 These gorgeous fish come in a stunning array of colours, they fight hard and dirty and live in places that you’d want to visit even if you weren’t fishing. I was so impressed with the place and the fishing that I’ve booked to go back next year and I will be researching other wrasse spots along the south coast in the meantime! Being brought up as coarse angler in the rivers, lakes and gravel pits of the Thames Valley I’m relatively new to chasing fish in the sea and to the weird, wonderful and totally addictive world of lure fishing. I guess it really kicked off for me in my time out in Australia where I had to learn a host of new techniques to catch hard fighting predators from the reefs and rocky headlands around Sydney. Using braid, jig heads, cone weights, soft plastics, Texas and Carolina rigs, vibrating blades, poppers and stick baits took some getting used to but it was a fascinating learning curve which totally changed my attitude to fishing back in the UK. I now own a motley collection of lure rods and reels covering everything from drop shotting for perch in my local canal to powerful outfits capable of taming tarpon, golden dorado and mahseer from exotic locations in far flung countries. I’ve learnt those all important knots necessary for attaching braid to nylon and for allowing the lure or plug to retain life and movement on the retrieve despite being attached to stiff and heavy duty fluorocarbon leaders. I’m now perfectly confident at dragging a weedless shad through seemingly impenetrable forests of weed and kelp or bouncing a Texas rigged soft plastic worm over limpet covered rocks that would swallow conventional tackle in the blink of an eye. Five years ago I wouldn’t have had a clue how to fish such spots yet this summer some of my best wrasse and bass have come from what I once considered to be tempting but unfishable habitat. Just rig it up like this…and twitch…and lift…and bang ! 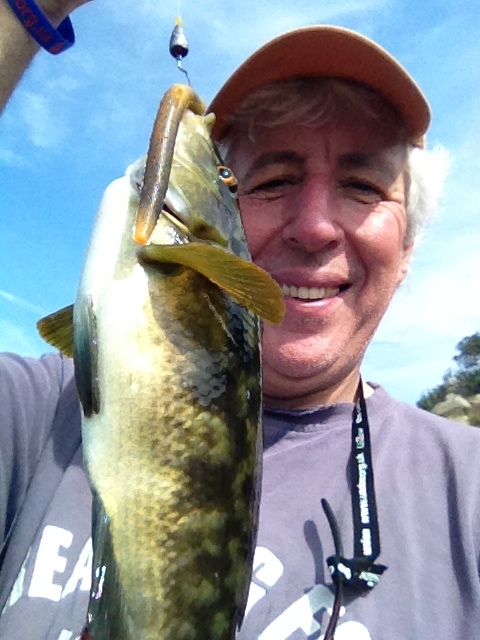 Lure fishing is the new rock and roll in the world of angling. It is growing in popularity when other arms of our sport are in decline. And it’s not just youngsters that like the cool gear that’s on offer. The highly mobile approach and the fact it is possible to grab a quick session on the bank without the hassle of getting hold of smelly bait and carting a barrow load of gear around is equally attractive to those of more mature years and weaker backs! The UK tackle trade has been keen to meet the new demand and I’ve been impressed by the range gear that is now available through specialists lure fishing suppliers such as Art of Fishing or Lure Heaven. I spent some time at this year’s Game Fair with Ian McCormack of Sonik, a company who are relatively new entrants to this market. We were discussing the tremendous improvements in the range and quality of travel rods available and how the travelling angler has never had it so good. Before I knew it I was buying a new Sonik SK4XTR 9′ 15-40gram travel lure rod to team up with a new Shimano Aernos 4000FA spinning reel that Henry Gilbey told me I just had to have. 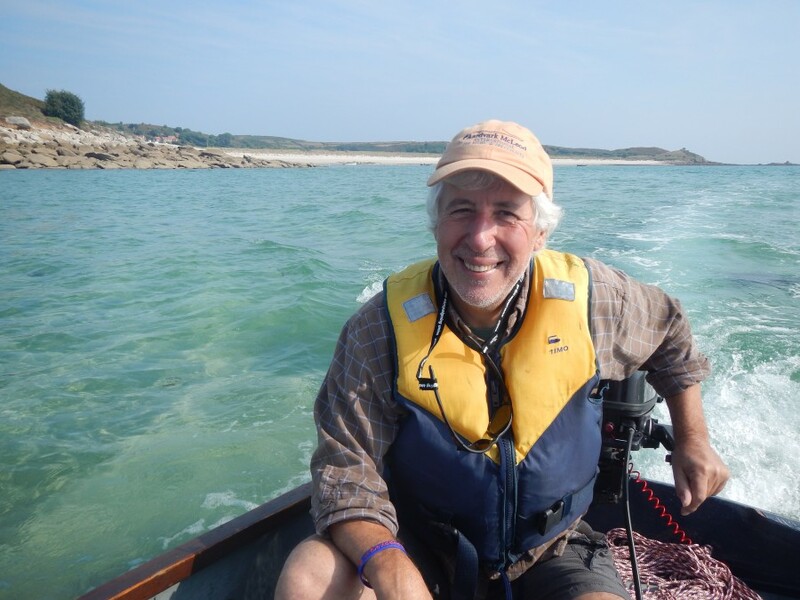 Just to be on the safe side I also took over to the Scillies a lighter Major Craft Skyroad 10-30gram outfit – another Gilbey ‘must have’ item! The Skyroad was a positive joy to use as it is light and responsive, casts like a dream and allows the angler to impact real action into the lures. Whilst it is a great bass rod and was fine on the smaller wrasse up to a couple of pounds there was just too much give in it to keep some of the larger specimens out of the rocks and kelp during those crucial first three seconds of the fight. After a couple of days I upgraded to the slighty heavier Sonik and a 20lb leader and the losses were dramatically reduced. Wrasse are certainly not tackle shy but they can be picky about which lures and which retrieving techniques will persuade them to hang on. Worm patterns are by far the most effective and I certainly had a better hook up ratio by using as light a cone weight on the line as possible. I suspect that this is because most of the hookable takes, as opposed to the inconclusive plucks, tend to come as the lure is falling back into the rocks following a lift and twitch retrieve. 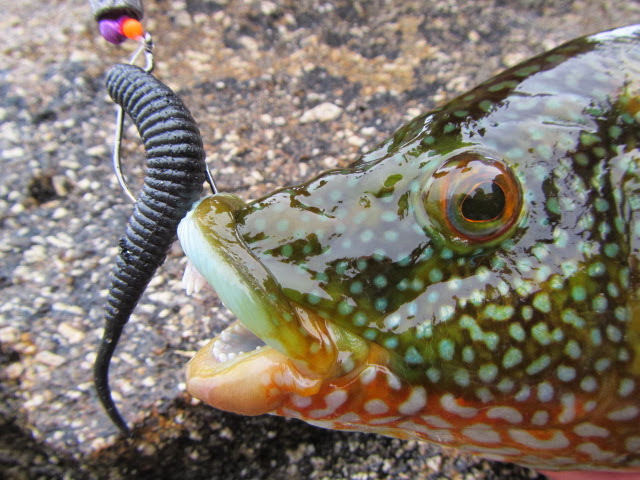 The lighter the weight on the nose of the rig gives the wrasse just a little longer to home in on the target. 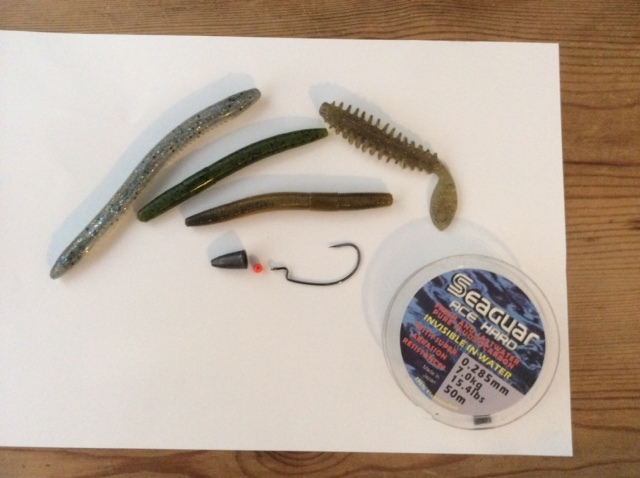 My most successful patterns were the four inch Hawg Wild Lure worms in pumpkinseed and watermelon colours, the Spro Komodo worms and an American largemouth bass lure from Poor Boy’s Baits called an Erie Darter. 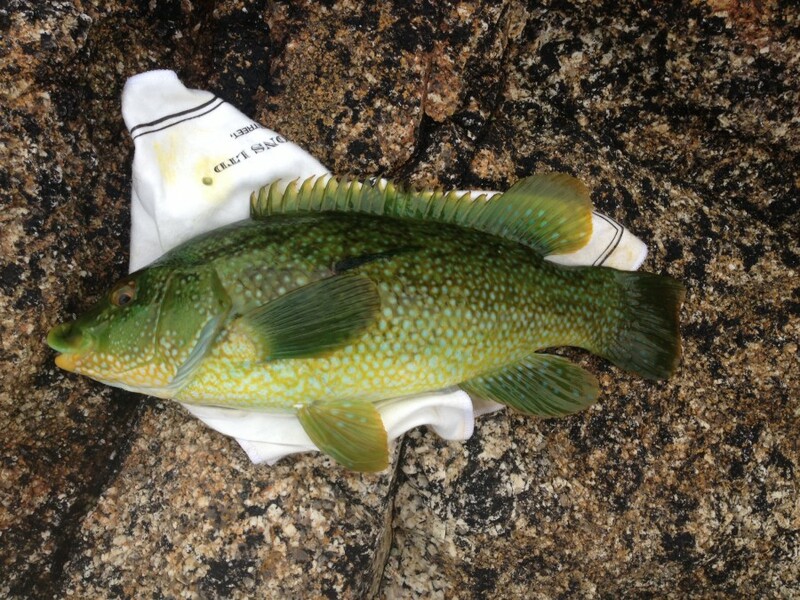 However, there are countless other patterns that will catch wrasse and plenty of room for experimentation. I would also add that having a colour change available will often keep the wrasse coming longer after a few have been caught and released from the same spot. The only other advice I can offer is to avoid turbulent water and big swells as wrasse, understandably, are not keen on feeding whilst being smashed against the boulders. Forget about dawn and dusk, this is a family friendly species that bites well in the middle of the day and in bright sunshine. And concentrate on the couple of hours either side of high tide over rocks with plenty of weed, limpets and other tempting morsels rather than smooth and lifeless ground which might be kinder on your tackle but which will be less attractive to the fish. They like those plastic worms ! 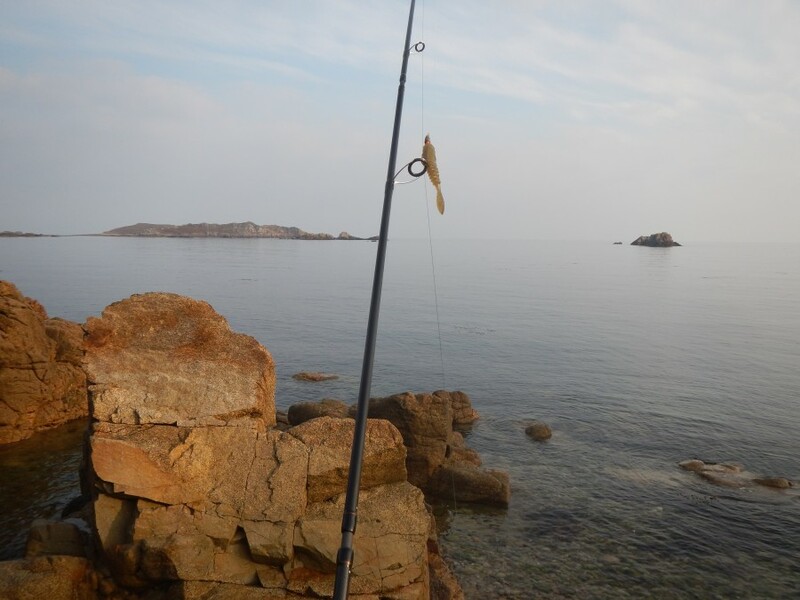 I had no intention of fishing from the boat but with scores of other islands and islets that are not served by the otherwise excellent Scilly Island Ferries I felt that having our own transport would give me the rare opportunity to explore some virtually unfished rock marks. As it happens I caught just as many fish from a cove less than ten minutes stroll from our apartment as I did from some of the more isolated spots. That said I would recommend having the flexibility of your own transport as it greatly increases the fishing options available and you don’t have to worry about packing up as the wrasse come on the bite in order to catch the last scheduled ferry back to your accommodation. My next expedition to the sunny Scillies might be a year away but I can guarantee that my next wrasse trip will be a damn sight sooner. A quick look on Google Earth and few phone calls to some helpful friends should set me on the road to some more ‘wrassetastic’ action a little closer to home.